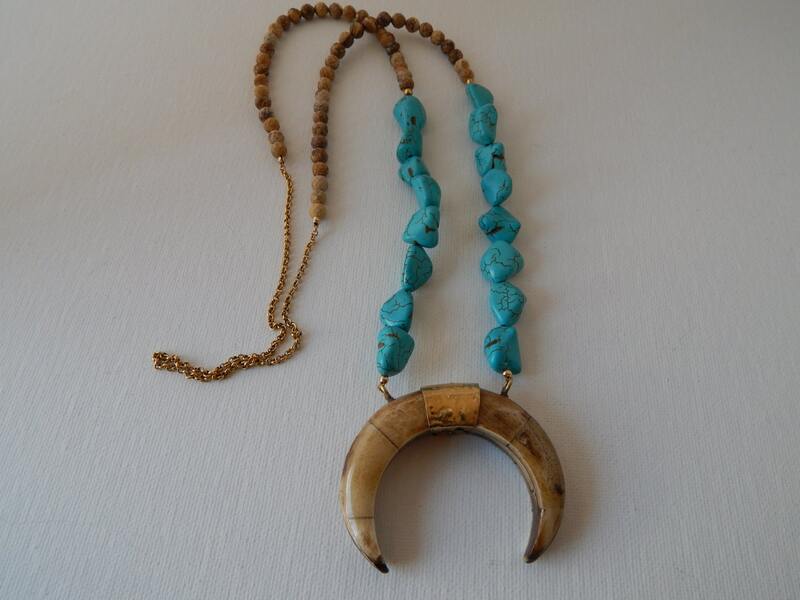 A brown double horn pendant with turquoise nuggets and picture jasper make this the perfect necklace. 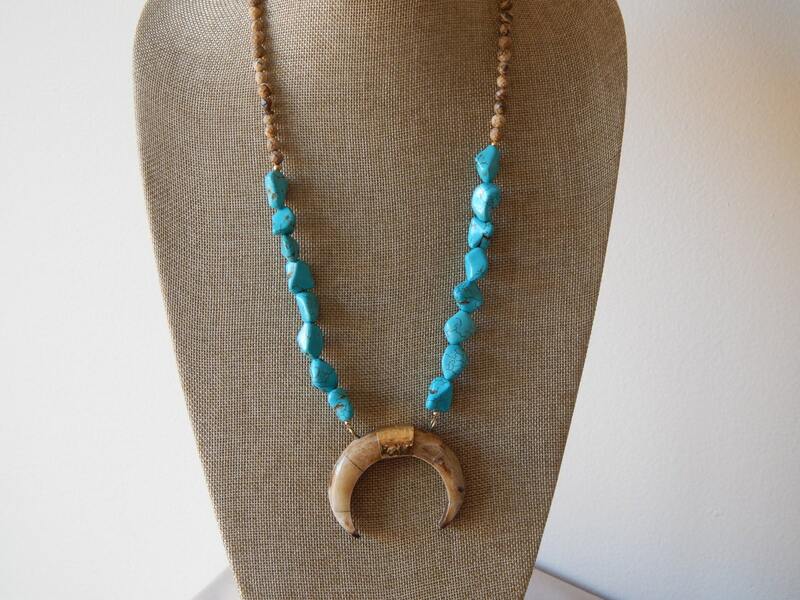 Turquoise is a great neutral that goes with everything and is great for year round everyday wear. 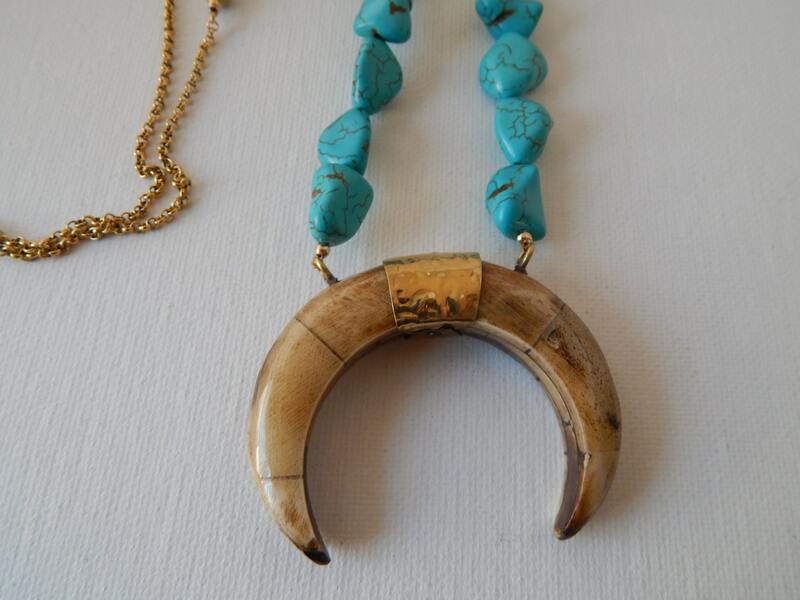 Layer with others or wear alone with a t-shirt and jeans for a stylish boho look..
Necklace length is 34 inches horn measures 2 inches. 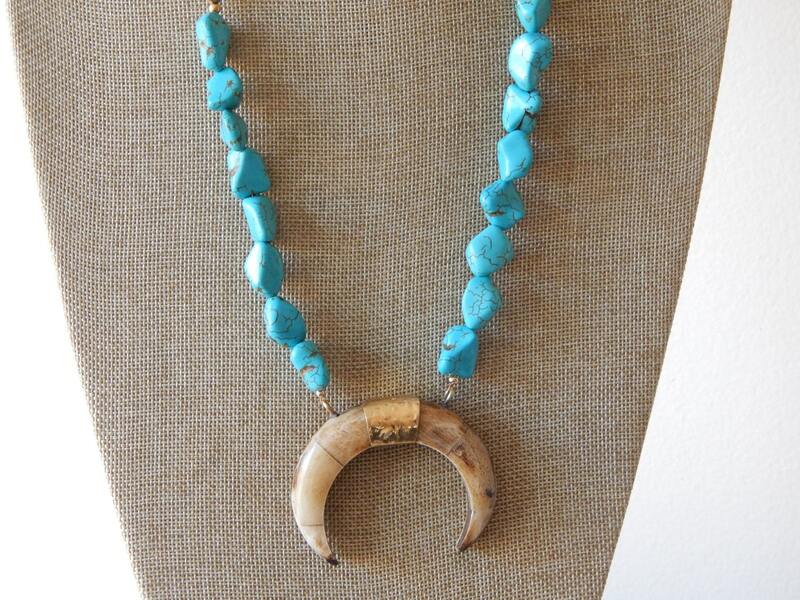 Turquoise nuggets vary in size and shape.